Quickly connects to hunting equipment in seconds. Ideal tool that is great for stalking and still hunting. Light weight construction made with quality materials. Adapted camouflage to match any hunting situation. Added stability to bow with weight forward technology. Softens bow and hunter noise to animals. Hides the drawing of your bow from animals. Does not interfere with normal operation of bow. No tools required for operation or maintenance. All parts can be replaced or repaired if damaged. Ability to “brush in” with natural surrounding vegetation. 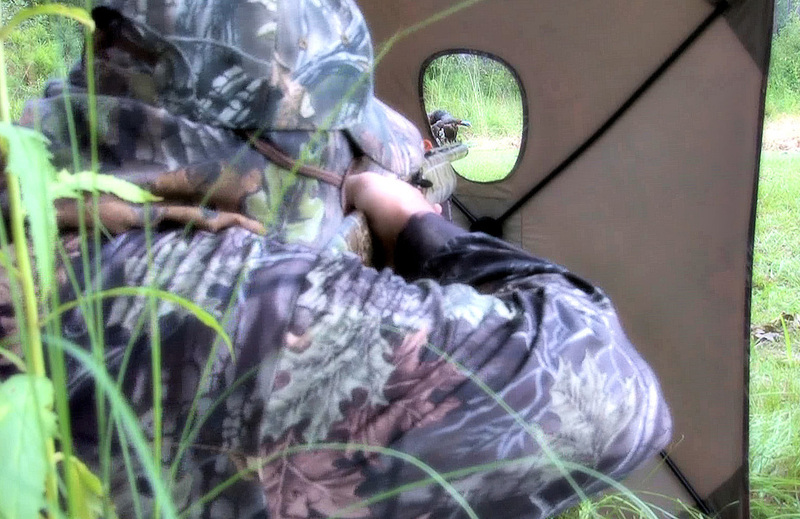 Well suited for stalking, still hunting and tree stand hunting. 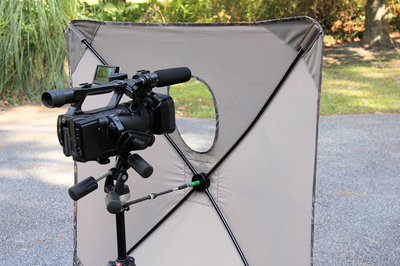 Ability to mount GoPro camera directly to front of blind. 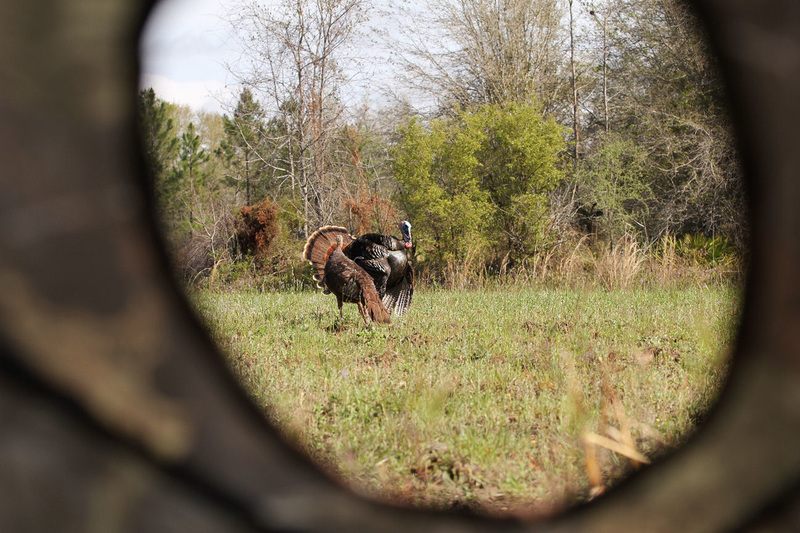 Allows you to Hunt In Plain Sight closer than you ever have before! Already proven successful on hunts for whitetail, coyotes, javelina, turkeys, antelope, hogs and even lions on safari in Africa. 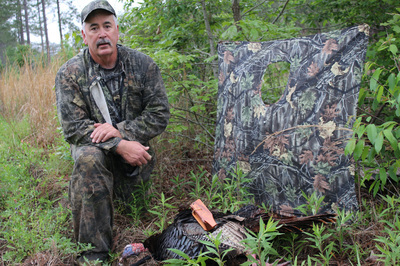 The HIPS Blind fills the need of anyone who uses it, and quickly becomes a must have part of their hunting gear. 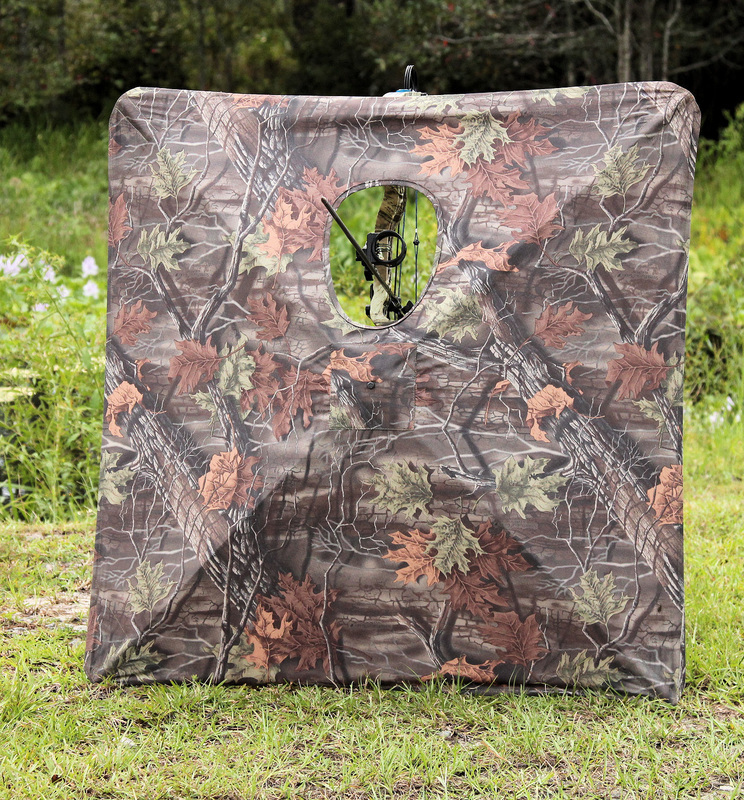 Weighing in at ounces instead of pounds, this blind is easy to carry and use. 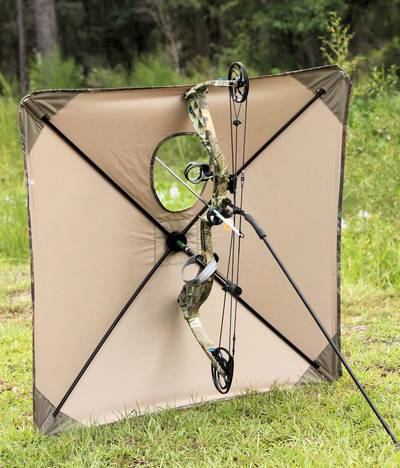 But it's not just a bow blind, this is very effective for firearms hunting. 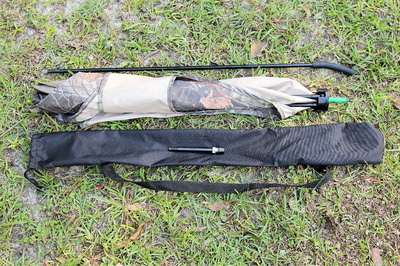 Both shotgun and rifle hunters love using the HIPS Blind and now handgun hunters are discovering it's a valuable tool for getting in close to whatever they are hunting. The H.I.P.S BLIND is distributed exclusively by Lynch and is part of our ongoing effort to bring quality products to our customers. 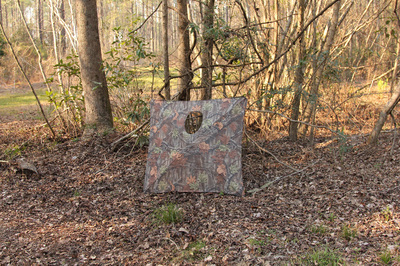 The blind comes in Superflauge Game camo. 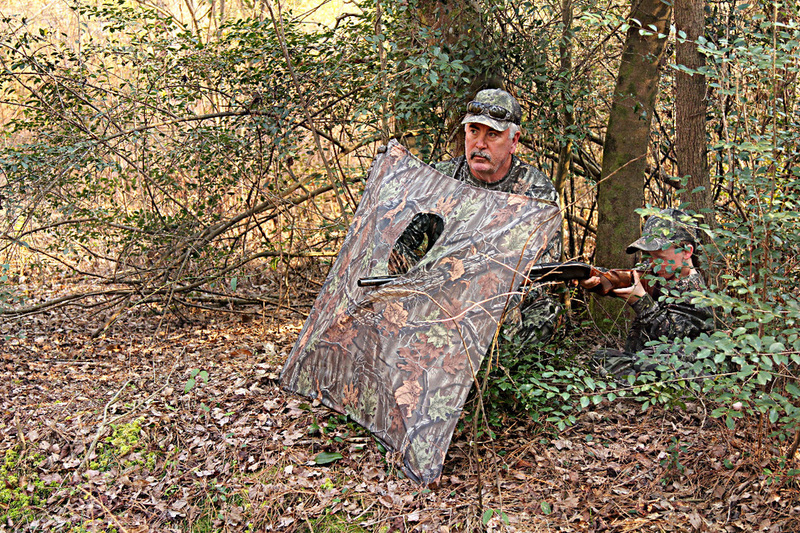 This patterns will give you concealment in many different terrains. Migration Camo and Original Superflauge will be coming soon as an accessory. 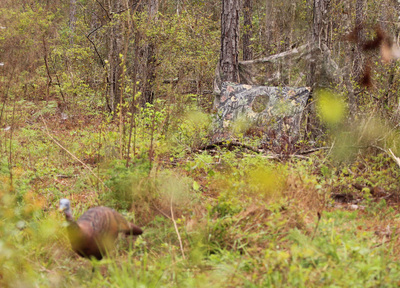 Watch the videos and see how this new idea in concealment will help you bag your next trophy! 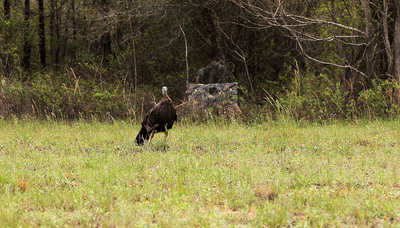 HUNTING OR PHOTOGRAPHY the H.I.P.S. 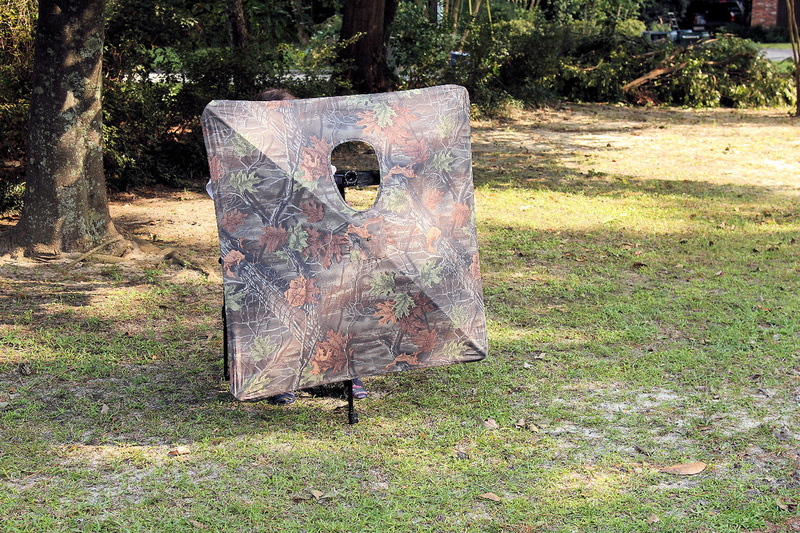 Blind will keep you hidden and it's lightwieght and easy to carry and set-up. Working in the outdoor videography business, I get to see a lot of new and innovative products on the market. When I got to put my hands on the product I realized that there were some features that were well thought out that other companies have overlooked in the past with their blinds. The durability of this blind speaks volumes over others that are currently popular. - Robert N.
A friend had been using the HIPS Blind and was very excited about how useful it was and how I should try it out for myself. I am very set in my proven hunting methods but decided to give his a try on my bow. I was set to be disappointed by the thought of it being in my way of doing what I needed to do, I was pleasantly surprised that it was not at all what I imagined. I am not a camo nut. I feel that being in the right place at the right time and knowing what you are doing far outweigh the best camouflage on the market. The feature that I most admired was the concealment factor. 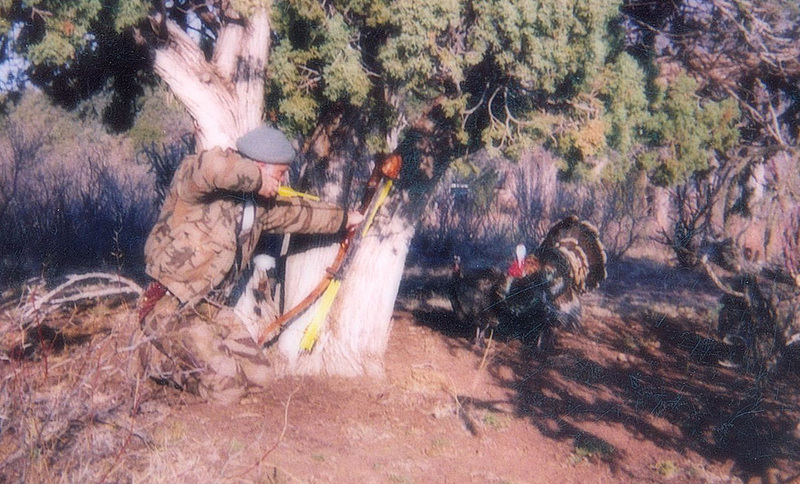 Being able to draw my bow undetected by the deer or turkey has given me the most confidence in the HIPS Blind. I now own one for myself. - Larry H.
I have been privileged to have been involved with the H.I.P.S. blind through its inception, development and manufacture and can honestly say that every bowhunter should have one in his equipment arsenal. 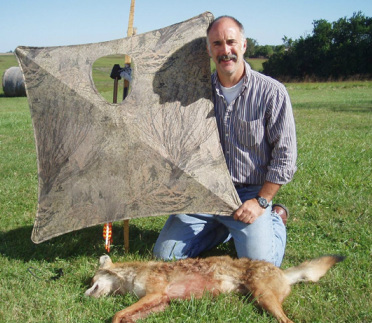 It will not be the panacea for every hunting situation, but when used, it will give the hunter the confidence—either on the ground or in the tree stand—to be close to your quarry and draw your bow undetected. The HIPS blind is easily customized to blend with nearly every hunting environment and at a mere 9 ounces and requiring only seconds to deploy, it is a must to have on hand during every outing. - Brian P.
I shot this coyote using the H.I.P.S. Tech Blind in the middle of the day. While checking on property, I noticed this coyote in the fields pictured behind me. With my bow and blind both in the truck, I didn't even need camo that day to close the distance for the shot with my longbow. I was Hidden In Plain Sight. Thin but durable. 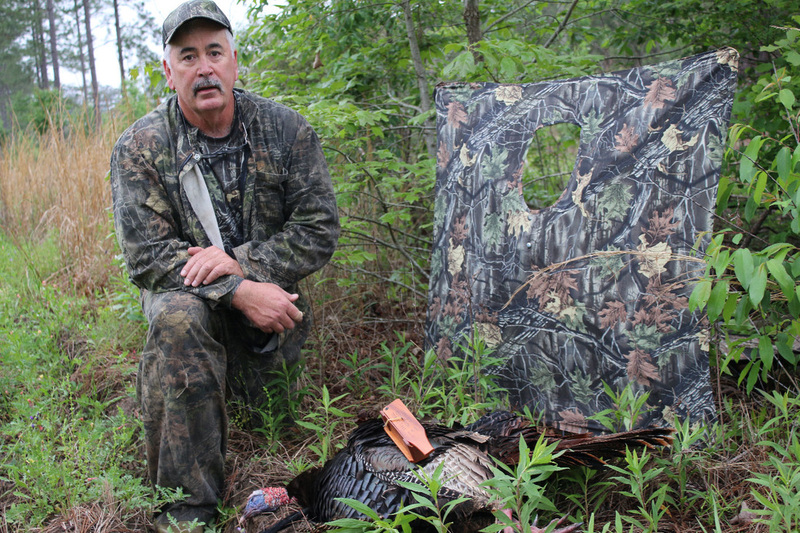 Through many versions of the blind before it ever became available to hunters, we tested every material we could find. The material chosen is the perfect balance of strength, durability, weight and translucence. Thicker materials were heavy and also would not allow the shooter to monitor his game. Thinner, more open meshes allowed too much light to pass through the blind., allowing the animal to see the shooter and their movements through the blind. 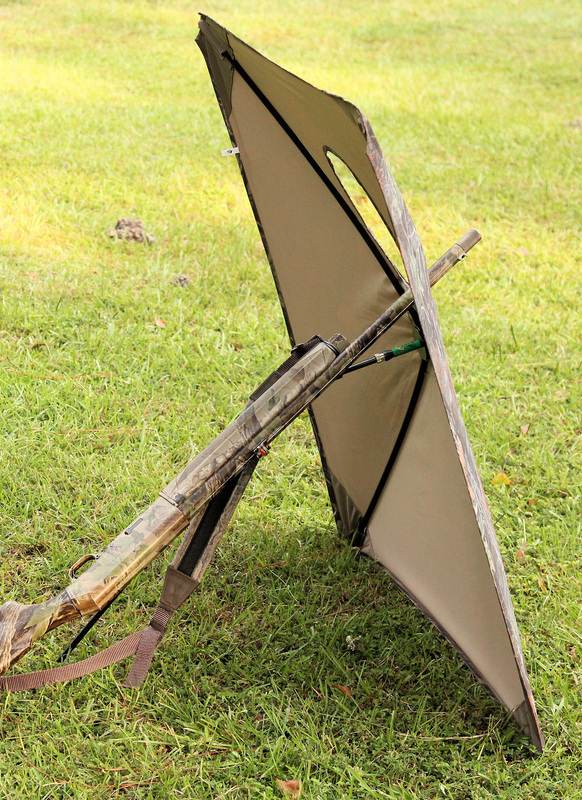 At only 9 oz, the HIPS Blind is easier to carry and more enjoyable for the hunter to use than heavy pop-up box blinds. The HIPS Blind is too small to hide behind. WRONG! The HIPS Blind is designed purposefully to be not too big or to small. You are not needing to hide your entire body behind the blind. Animals see and perceive what they see differently than a human. Animals detect movement like all creatures however they look for specific shapes in that movement. They look for known predator characteristics, the human form. Animals don't recognize your lower legs as anything dangerous, unless you are Chuck Norris. 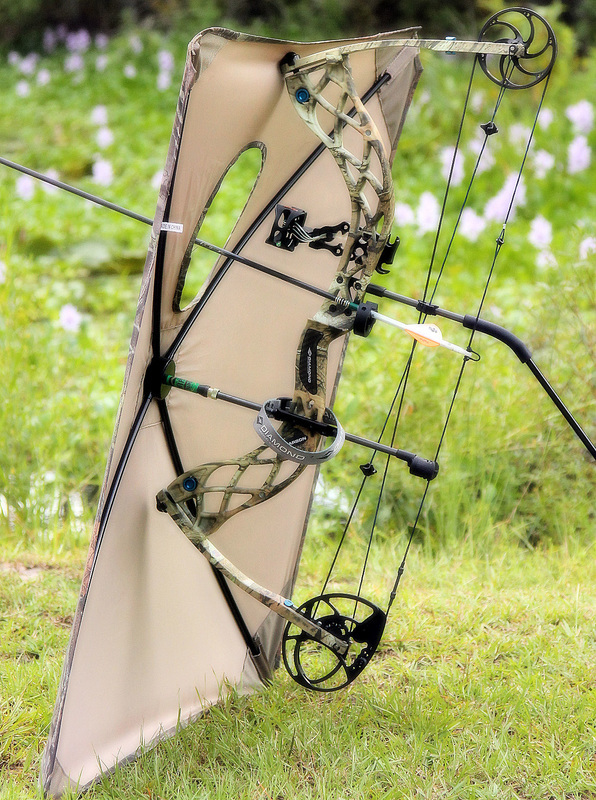 Your bow is actually quieter with the H.I.P.S. Tech Blind than shooting your bow without it. Here is how it works. 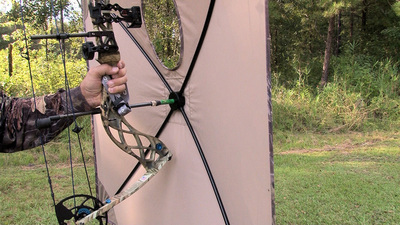 The HIPS Blind arched blind face captures some of the string noise created by your bow and reduces what is heard by the animal in front of you. The effect of that feature is that the captured noise of your bow is now reflected back to you the shooter. The HIPS Blind is too big and awkward to be used on a bow. Not so! The blind was designed to be smaller than the wasted weight and space of a box blind while providing enough coverage to remain concealed in your hunting spot. 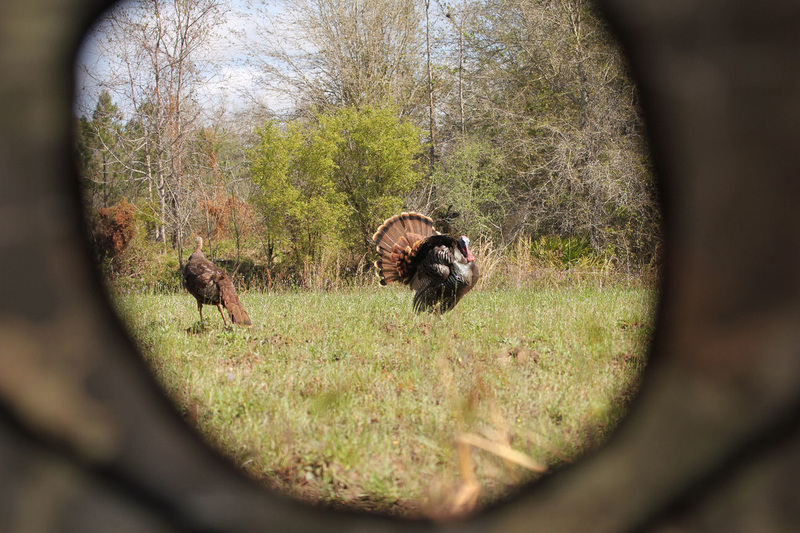 Most hunters will not attach the blind until getting to their stand location unless they are purposefully stalking an animal. The HIPS Blind will collapse with the wind. False again. The high strength aluminum tension rods are set specifically to keep the blind expanded but yet only collapse when ready. Sure, if you are hunting with 50 mph winds to your back you may have an issue. However the bigger issue is that you are hunting with 50 mph wind at your back and not in your face. The H.I.P.S. Tech Blind doesn't come in the camo pattern I use or think I need. The answer, are you using that pattern or brand because of it's name or who told you that it was the best or are you using the pattern because it is actually the best for the situation you are in? The HIPS Blind is the only bow mounted blind on the market that allows the hunter to match the surrounding terrain with either the H.I.P.S. Tech 3D Covers and/or natural vegetation from the area quickly. 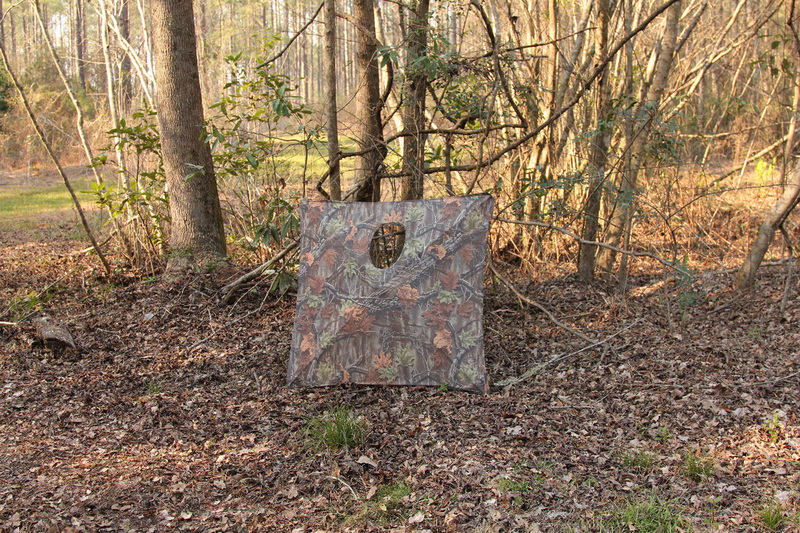 You can adjust the camouflage by brushing in the blind as you find yourself in different areas. You may start in the grassy fields in the morning but by mid day you are a thousand feet higher in the pines or even higher yet above the timber line. The HIPS Blind adapts to your needs. Believe us, we have tested the HIPS Blind in every situation we can find. From the Colorado pines chasing elk to the thick and brushy river bottoms where the big bucks live. We have taken coyotes, turkeys and antelope in the open prairies to javelina and hogs in the mesquite brush of south Texas. All of our pro staff are sold on the features of the HIPS Blind and you will be too. No matter where you find yourself and what you are chasing, you will never have to worry about concealment, allowing you to Hunt In Plain Sight. The H.I.P.S. Blind is a hub style blind that is quick and easy to open. 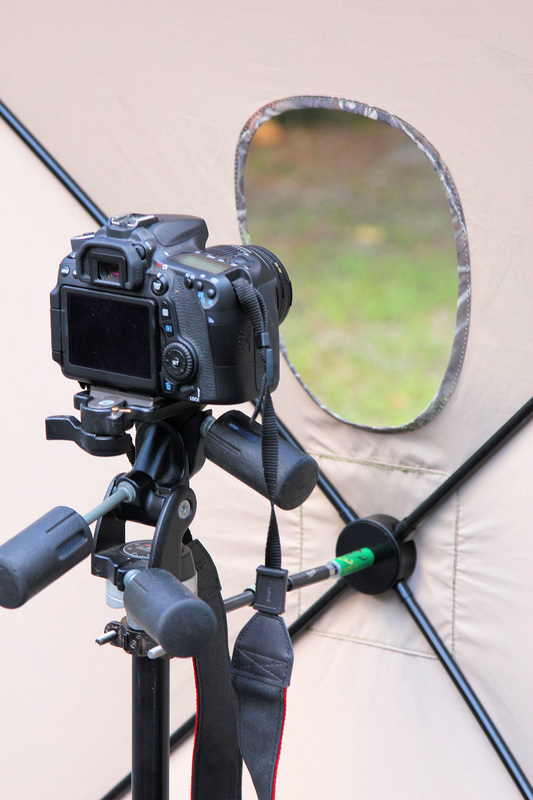 Simply open the blind and spread all 4 corners evenly and push in on the center hub. The video above shows one easy way of opening your new blind by allowing the corners to make contact with ground and your hip while holding the 4th corner out with one hand. Next push in gently on the center hub while keeping it flat with the center. The hub will pop in place holding your blind tight. 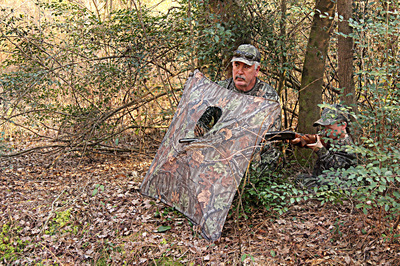 To fold the blind simply reverse the process and push the camo side inward at the hub and the blind will collapse ready for transport.